Summer is fading away and Fall is around the corner. I am turning a bit greedy these day and grilling away as I would put my grill to rest in Winter. Enjoying grilling while it lasts! Grilled Chicken drumsticks and corn are my favorites and I often throw these onto the grill. 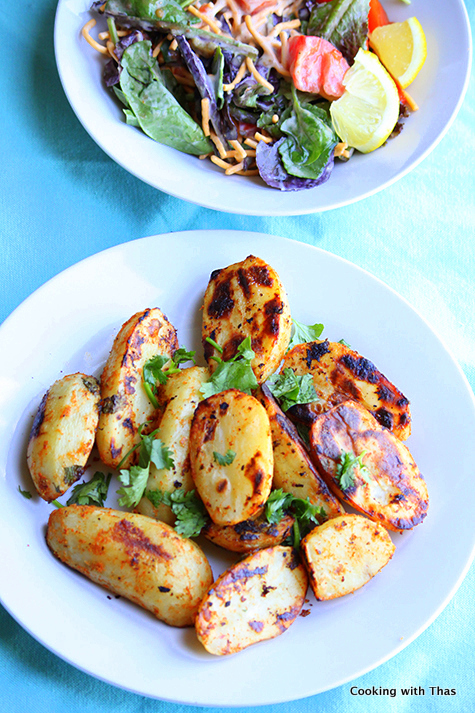 The other day, I grilled potatoes after marinating them in Indian spices- the marinade that I use for making tandoori chicken. 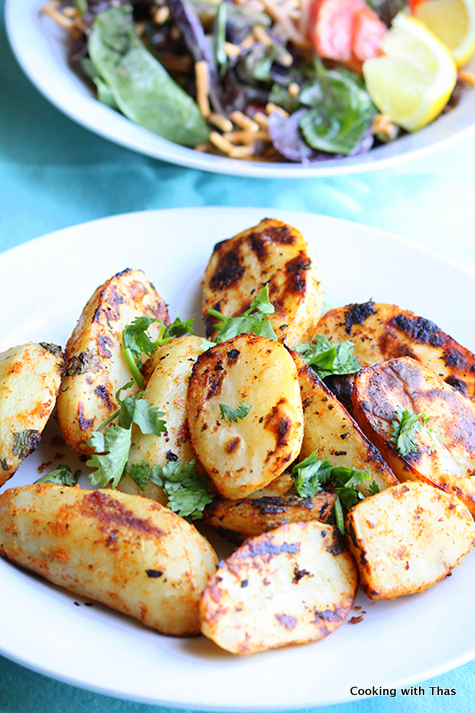 The grilled potatoes turned out to be delicious, a perfect side dish to serve along with Tandoori chicken or grilled steak or any other meals. In a large bowl, combine all the ingredients mentioned above 'to make the marinade'. Half the potatoes vertically, you could either keep the skin or peel it off. Add the potatoes into the marinade and combine well to evenly spread on the potatoes. Add the oil and combine well. Let marinate the potatoes for an hour. Fire up the grill at medium-low flame. Line an aluminum foil on the grill. Spray the foil with non-stick cooking spray. 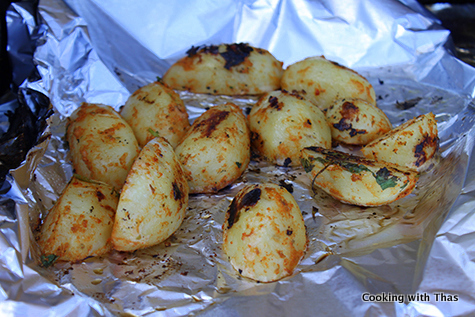 Place the potatoes on the foil, cover the grill and cook till potatoes turn fork tender. After 10 minutes, flip it over and cook covered. 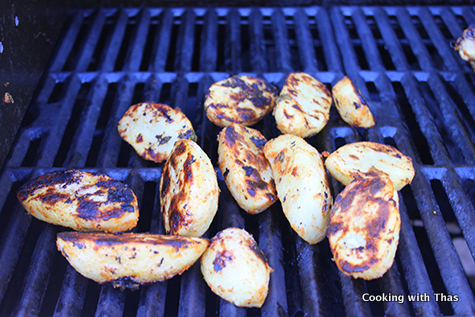 When the potatoes have cooked, remove the aluminum foil and place them directly on the grill and cook till grill marks are formed. Drizzle the lemon juice over the potatoes and grill for a couple more minutes. Remove the potatoes from the grill and serve immediately when they are warm. 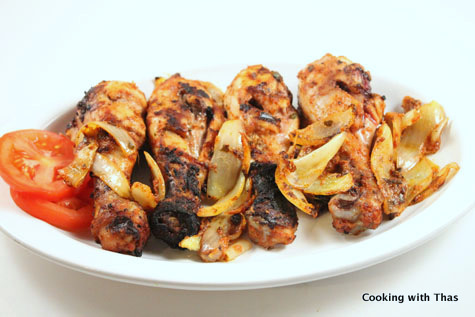 This makes an excellent side dish along with grilled chicken or steak.